How else do I use baking soda? 1. I use it along with white vinegar to clean my toilets. I no longer have a toilet wand that turns a disgusting color. Most people don’t know that vinegar is actually a disinfectant and keeps everything sparkly clean. I have in the last year or so COMPLETELY rid my home of harsh chemicals. I don’t know if people realize but the air in our homes tends to be more polluted than outdoors because of the harsh chemicals we use. 2. I use it along with white vinegar to clean my shower. I simply use a scrubby pad and sprinkle baking soda into the shower and give it a good scrubbing. To finish, I spritz my shower with white vinegar ( I literally have a spray bottle I use just for this!) and watch it foam up and disinfect. Voila, perfectly clean – with NO chemicals. 3. I use it to freshen up laundry. Let’s admit it, we’ve probably all left a load of laundry in the washer and forgotten about it only to discover a musty, smelly heap later! I throw a cup of baking soda in and rewash and it smells good as new! 4. 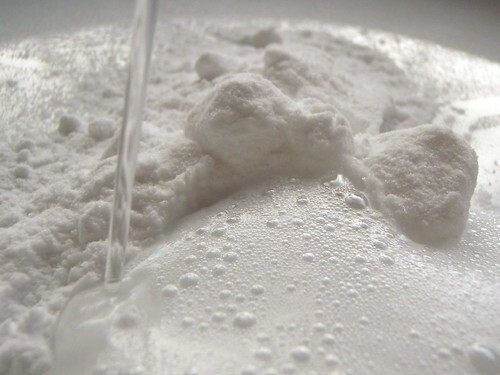 I use baking soda to deoderize my carpets. You can buy the cans of overly floral and fragrant, smelly powders to leave on your carpet and vacuum up OR you can use baking soda and your house is left smelling as exactly as it did before – fresh! I also only spot clean my carpets with Peroxide – I find it works better to clean up spots than store cleaners. Also, if your child ever gets a bloody nose and gets it on the carpet this will COMPLETELY remove it! Well, there you have it – I hope you go out and buy yourself a giant box of baking soda and come up with your own uses! If you do happen to have a unique use for baking soda you can enter it on the Arm & Hammer facebook site for a chance to win $5000 HERE! 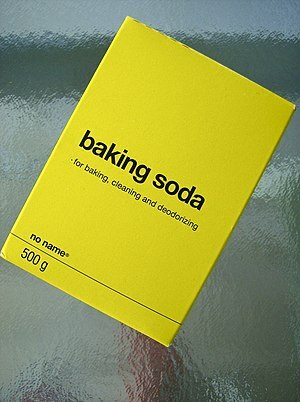 And check the many different uses for baking soda HERE. I will be trying this today!! !